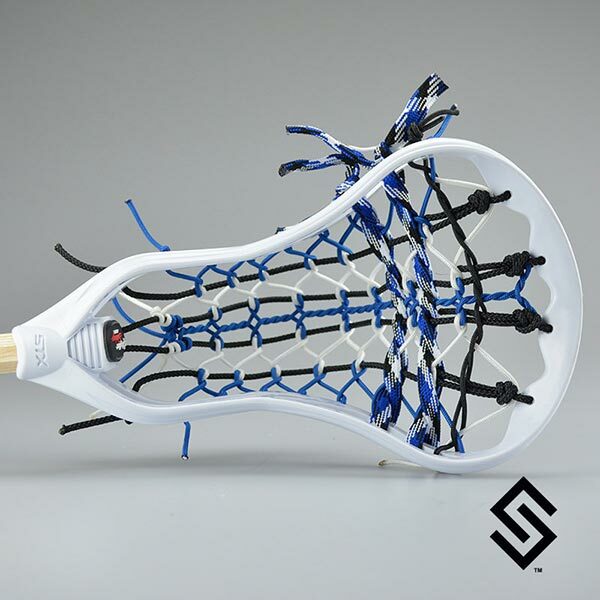 Our Duke of Laxinton- StylinStrings Mini Pita Lacrosse Fiddle Stick was strung with a Devilish blue and white color combo. The 2014 Lax finals inspired us to drop this new Mini color. The mini Pita offers a great alternative to using your game stick. They hold a full size ball and fit almost anywhere.